The Belle’s Story Facebook page confirmed she died on Friday. 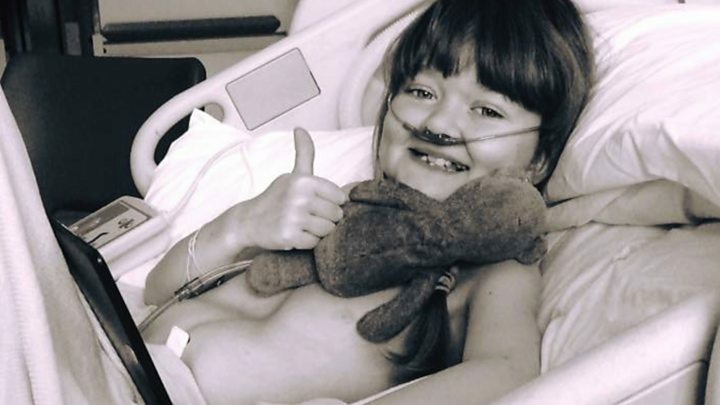 Belle, from Wolf’s Castle near Haverfordwest, had won lots of bravery awards and inspired many groups and individuals to raise money for charity. She was honoured as one of “Wales’ bravest youngsters” by Welsh TV channel S4C as a special someone who had “been through the hardest of times but have shown so much courage throughout their darkest days”. Mum Stella said her daughter had “never complained about her health and remained extremely positive” as her condition worsened. She and husband John helped set-up “Belle’s story” on social media to raise awareness of the “urgent need for organ donors”. On her page earlier, they wrote: “Our brave Belle sadly lost her fight and passed away peacefully on the 5th April.